BATTLE GROUND — The story of how chef Michael Horn came upon the spot where he is now parking his food truck at 106 E. Main St., in Battle Ground is kind of a funny one, a little ironic even. So, Horn decided to do just that, and during the second week of September, The Coachmen, a restaurant that many Battle Ground residents will remember for their handcrafted burgers and Cyclone Fries, was open for business again the form of a food truck. The Coachmen was first opened back in 2012 by co-owners Horn and Kevin Basarab and occupied the space in Battle Ground Village that had previously been home to a chili restaurant. The two met while attending the Northwest Culinary Institute in Vancouver and decided to open The Coachmen, which focused on different kinds of handcrafted burgers. Horn said they never really wanted to close the restaurant, but the two eventually decided it would be best to close their location in the Battle Ground Village. For about a year after they closed, Horn looked around for another potential location on his own, as Basarab had decided he wanted to move on to something else. 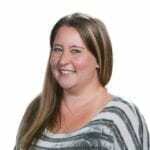 After searching for a place and not being able to find anything, Horn went and worked for a few different restaurants and also worked in the cell phone repair business for a while. 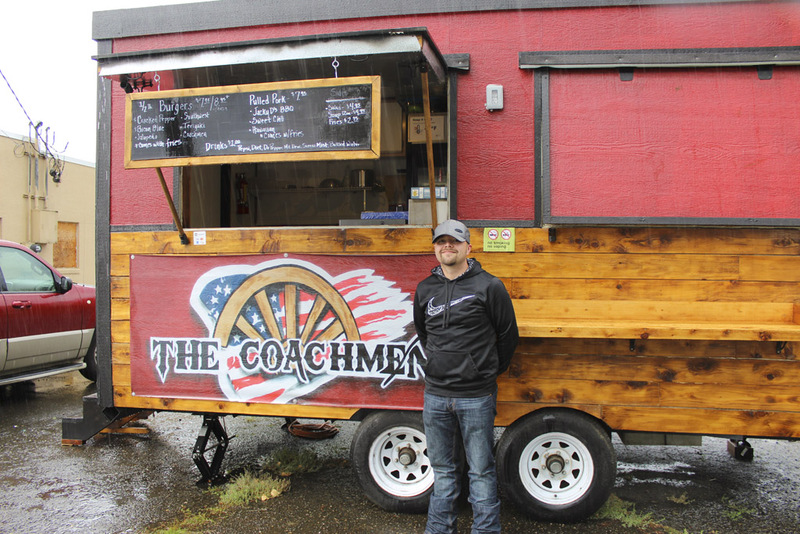 In November of 2014, he bought his food truck and worked to fix it up with the goal of reopening The Coachmen on a smaller scale. For those who are wondering, Horn said he is no longer making the popular Cyclone Fries, but patrons can get plenty of regular fries with their burger. Burgers offered at The Coachmen food truck include the Jalapeno (fresh-cut jalapenos, onion ring and pepper jack cheese), the Bacon-Blue (bacon, cheese, onion curls and barbecue sauce), the Cracked Pepper (with horseradish mayo, bacon, Swiss cheese, onion curls and cracked black pepper) and several others. In addition to burgers, Horn also offers three different kinds of pulled pork — barbecue, Hawaiian and sweet chili. 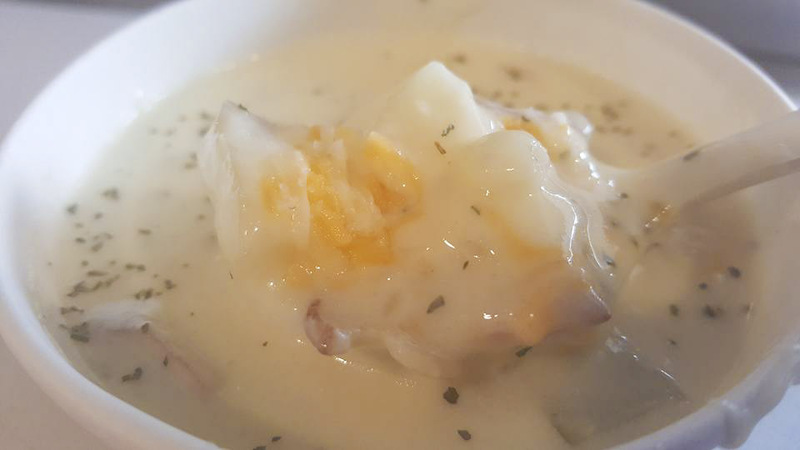 He said he has also been trying to offer a different soup each day when he can, so far he’s offered a loaded baked potato soup and a pasta fagioli. In the future, he plans to sometimes offer a clam chowder, tomato and other varieties of soup. 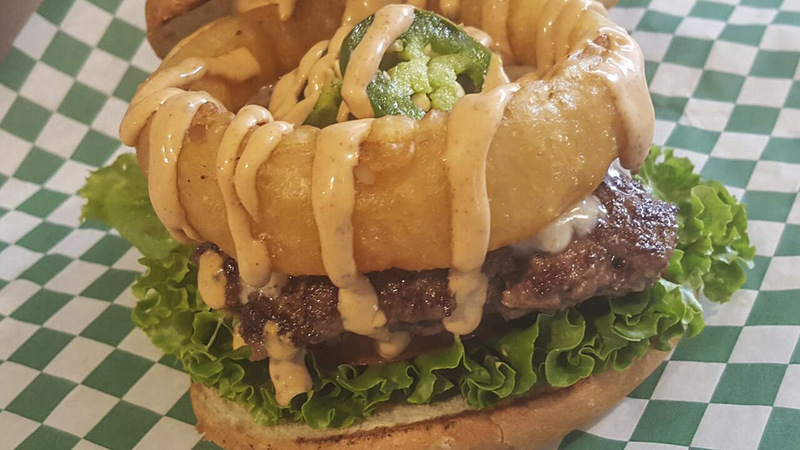 A green salad is also available for those looking to get some more vegetables with their burger. Beverages offered at The Coachmen include a variety of sodas and water. Horn, 34, has lived in the Clark County area for his entire life and he said he developed a love for cooking when he was helping his parents at a deli they opened in the Battle Ground area in the late 1990s. He has three children, ages 12, 11 and 6, who occasionally help him out at the food truck. In the future, Horn said he is hoping to eventually open another permanent restaurant location, hopefully in the Battle Ground area. 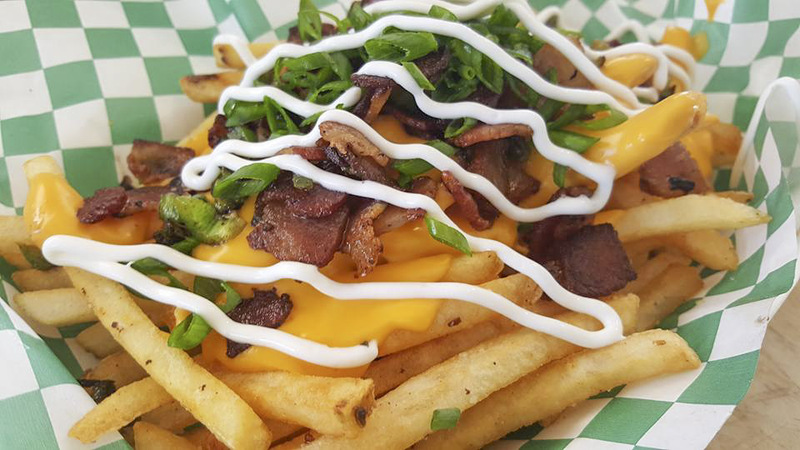 The Coachmen food truck is open for lunch Mon.-Tue., 11 a.m.-3 p.m., and for lunch and dinner Wed.-Sat., 11 a.m.-7 p.m. The truck is closed on Sundays. For more information and to find out about daily and weekly specials, visit The Coachmen Facebook page.